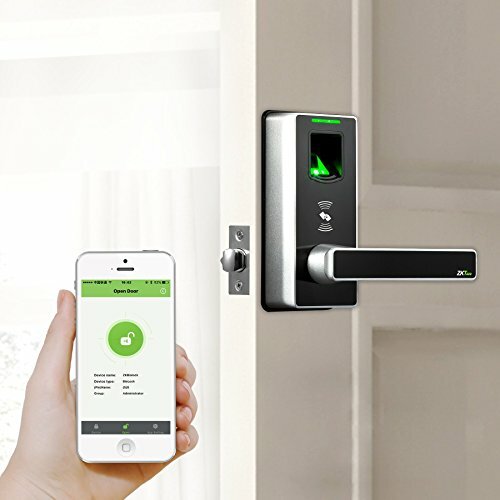 - Unlock Via Bluetooth: Use your smartphone to unlock this smart lock, keyless access to your home with iOS and Android smartphones. - Mobile User Management: No operation on the lock is needed! To delete fingerprints, modify user's rights, do them with your phone. - Set Timezone Funciton: This electronic lock can provide housecleaners, dogwalkers, and others with access for a few hours, a week, or just specific times of the day. - Visitor Records Trackable: To know whom and when has entered or exited your home from your smartphone.